OUR AMAZING VOLUNTEERS - THANK YOU!!! 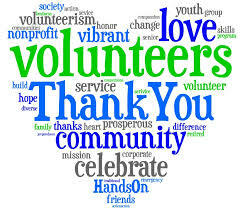 A huge THANK YOU to all our amazing volunteers. We truly wouldn't be able to make a difference in the live of children without your help!!! Meet once a month, usually the third Monday. Be a part of a team, having an impact on children. Prepare snacks, crafts, activities, etc..
Join us at Boardwalk Gaming for a 2 hour bingo shift, where we promote our charity and assist the staff. Want to join our team? Volunteering is easy and flexible to your availability. ​​Contact us at 613-735-1933 or fill out the form and sign up today!